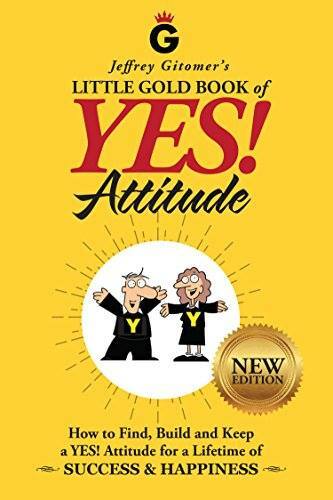 Thanks for ordering Jeffrey Gitomer’s, The Little Yellow Book of Yes! Attitude. Your gift is a new 37 minute, step by step video that shows you how to take your attitude and turn it into success and accomplishment. Just add your name and email in the spaces below and you’ll get access to this new video along with your 1-year subscription to Coffee with Kevin Hogan that contains the latest in persuasion, influence and nonverbal communication. Coffee comes out Sunday nights. After you complete the form, you will receive an email to confirm your gift and subscription (our way of protecting you from spam). And your confirmation email will be in your main folder or possibly a junk folder so check in about three minutes.